CANAAN, N.H. - Jan. 30, 2018 - PRLog -- New Hampshire,- Plasma Technologies, a leader in manufacturing cutting machine retrofit systems, has recently announced an offering of Digital Servo Drives for the new Hypertherm Edge Connect CNC Product Line. Hypertherm is replacing their Edge Pro Analog CNC systems with the latest Edge Connect Platform. The Edge Connect uses high-speed digital EtherCAT technology that boosts cutting capabilities. Legacy analog drives and peripheral products are not compatible with the new Digital EtherCAT technology, and Hypertherm does not offer AC Servo Drives for the Edge Connect products. "Offering flexible Cutting Machine Servo Drive and Control options for the Edge Connect CNC fills a void for anyone wanting to upgrade their aging cutting machine," Alan Bradford, Plasma Technologies President said. Plasma Technologies has leveraged their expertise in CNC motion control systems to engineer reliable EtherCAT based solutions to meet customers needs and will be available for purchase January 2018. 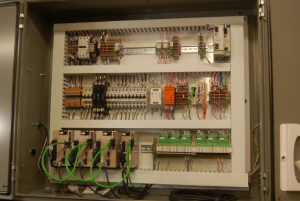 For more information on Plasma Technologies new Digital Servo Drives, please visit our website at http://plasmatechnologies.com/products/ac-servo-drives-for-edge-connect or call (603) 632-4567. Plasma Technologies is focused on providing retrofit solutions for all plasma and oxy-fuel CNC cutting systems. See Press Release in PR Log Press Release.